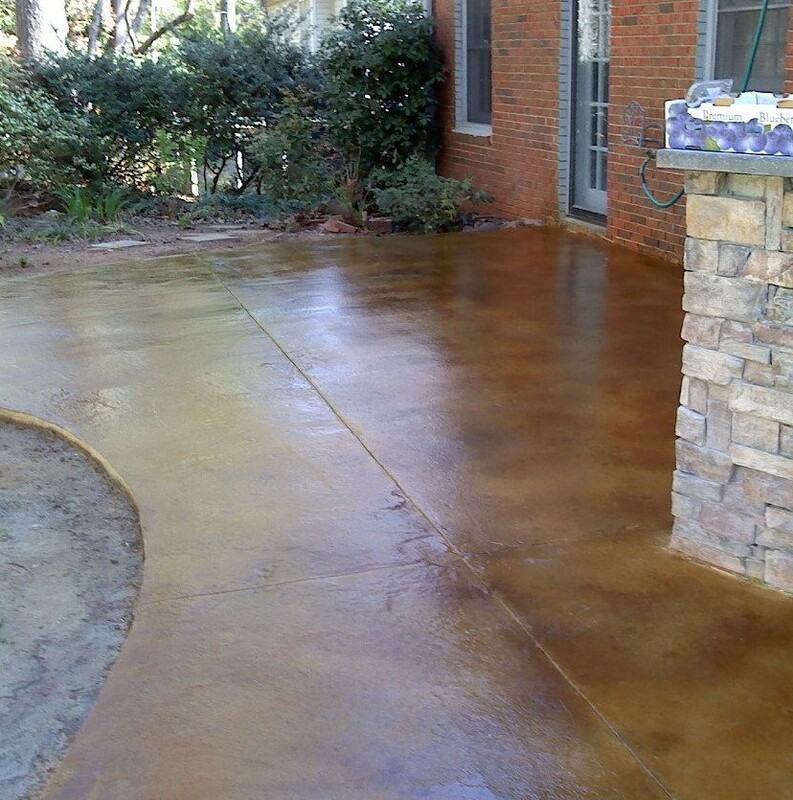 Elite Crete Atlanta is the Decorative Concrete arm of Peak Floor Solutions LLC. At Elite Crete Atlanta we understand that your home or business is more than just a place to live or work; it’s an investment, an expression of who you are. You’ve paid special attention to every detail in your home or place of business and you want it to look its best at all times. At Elite Crete Atlanta we understand your needs. No matter where you are, you get unparalleled attention to detail, the finest techniques and products, and fast, friendly service to protect your investment and bring out the full beauty of your concrete, natural stone and tile surfaces. Regardless of your busy schedule, the convenience and flexibility of Elite Crete Atlanta provides you with the decorative concrete, professional stone or tile detailing your home or business deserves. Decorative Concrete and Staining are some of the most exciting and beautiful flooring options available to the homeowner today. Whether it is covering a formerly carpeted basement floor or a brand new slab, we use our superior training and attention to detail in bringing the project to a stunning finish. Elite Crete Atlanta is a factory trained installation company. Call us today to discuss your surfaces and their potential. Peak Floor Solutions is your premier resource for all of your floor restoration and maintenance care needs. When it comes to restoring the fresh look of your concrete, natural stone, ceramic tile and other hard floor coverings, allow Peak Floor Solutions to return that original beauty while enhancing your investment. We can restore or refinish any type of concrete, tile and natural stone, whether it is marble, granite, travertine, slate, ceramic tile, limestone, or terrazzo to its original beauty and luster.